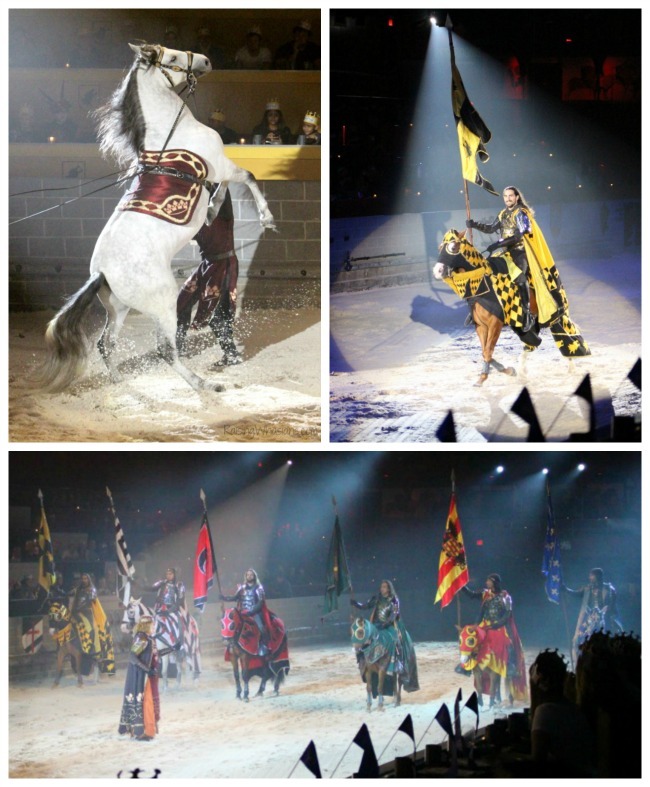 Take your family and travel back in time to the world of castles, kings, and knights — right here in Orlando. As soon as we walked over the moat and into the castle, our family was instantly transported to Medieval Times, a place of history, folklore and adventure. Gather your whole gang in a land where knights compete for valor, honor and victory. 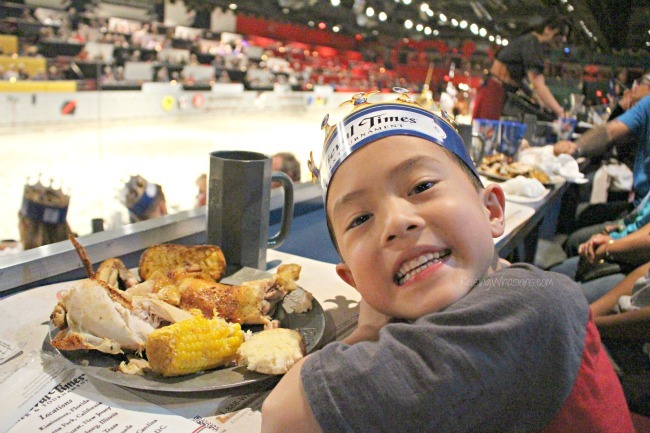 Your family will love cheering on their favorite knight as they joust, throw javelins and battle. 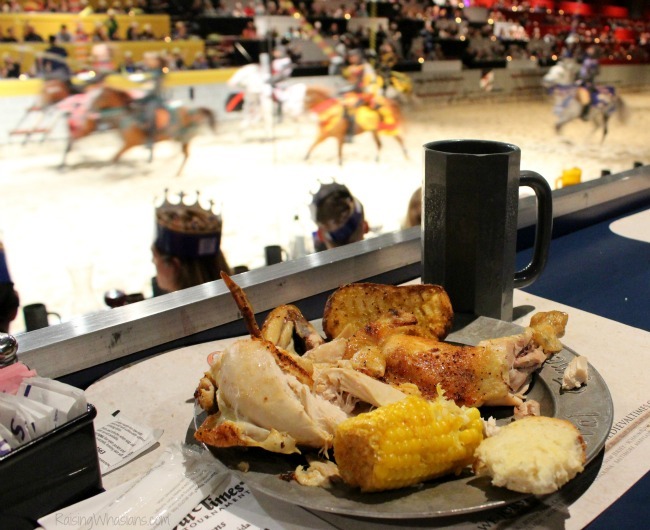 See majestic horses, falcons and sparks fly, all from your dinner seat. Ooohs and Aaaahs are guaranteed. 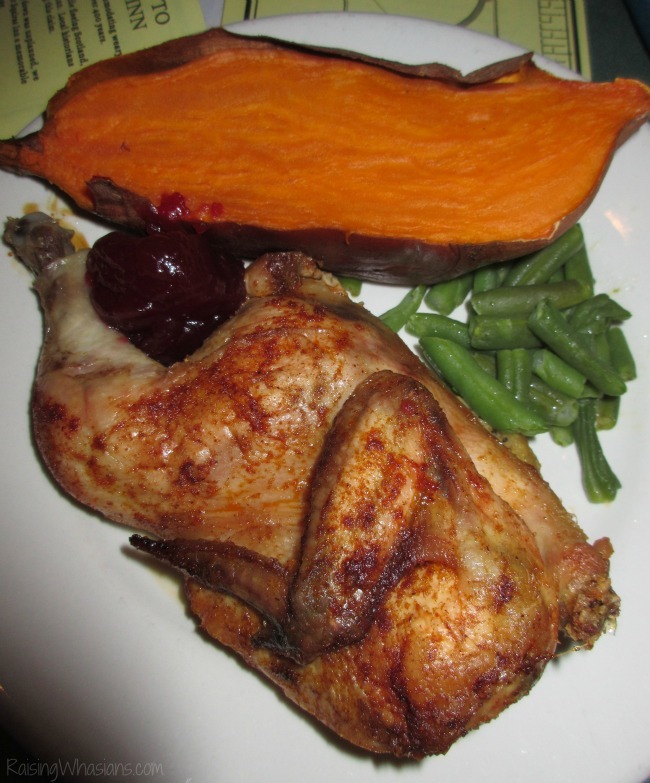 Served a delicious banquet during the show, your feast includes everything from tender fall-of-the-bone chicken, soup, and sides…everything BUT the utensils, that is! Roll up your sleeves for an evening fit for a king with dining, entertainment and memories that will have your children smiling. Days later, my son is still telling me how AWESOME his “knight” was. Stomp your feet and clap your hands! Your family is in for a hoedown treat. Walt Disney World offers one of the best dinner shows in the area with the world famous Hoop Dee Doo Revue. This 40+ year-old dinner show is filled with family-friendly laughs, songs and dances, all safe for even the littlest ears in your group. Sing along and throw your hat in the air for a jolly good time. Oh, and let’s not forget the food. It’s endlessly flowing here. 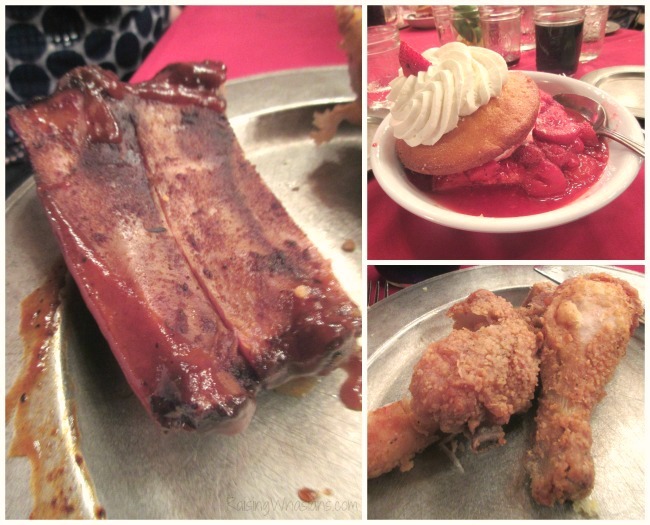 All-you-can-eat ribs, fried chicken, cornbread, strawberry shortcake and beverages are on the menu. And napkins are not just for eating. Raise your napkin high and swing it above your head to the music too. So grab your washboard, your spoons and your hungry bellies. I dare you NOT to toe tap through the show. I bet you can’t! 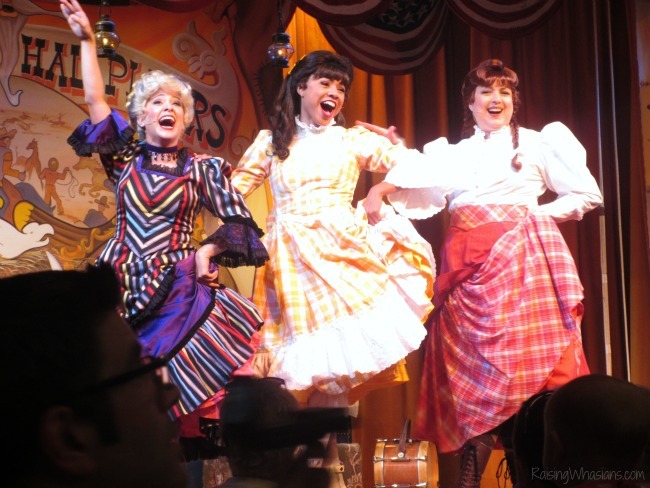 Enjoy an amazing Orlando dinner show, Disney style at the Hoop Dee Doo Revue at the Fort Wilderness campgrounds. Your full-course dinner, endless drinks and lots of family-friendly laughs are all included. Deduce with the audience and solve the mystery by the end of dessert. You can’t miss the upside-down WonderWorks building off International Drive. Inside, the WonderWorks Outta Control Magic Comedy Dinner Show is unlike any dinner show I’ve attended in Orlando. 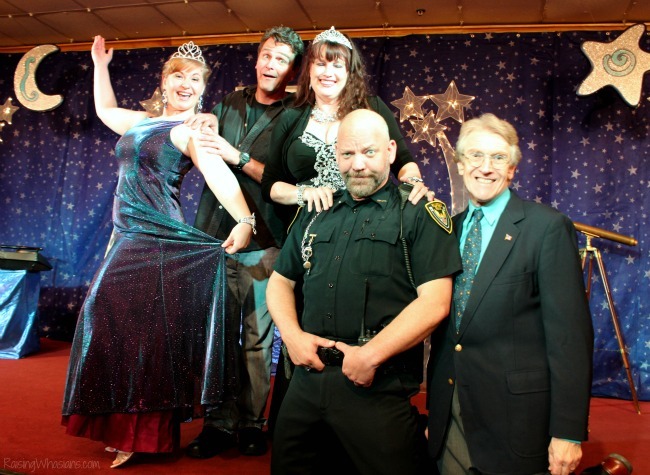 Amazing magic tricks are paired with skits that are not only belly-laughing fun but 100 percent family-friendly, too. All-you-can-eat pizza, salad, popcorn, and beverages are served right alongside all-you-can-laugh moments. 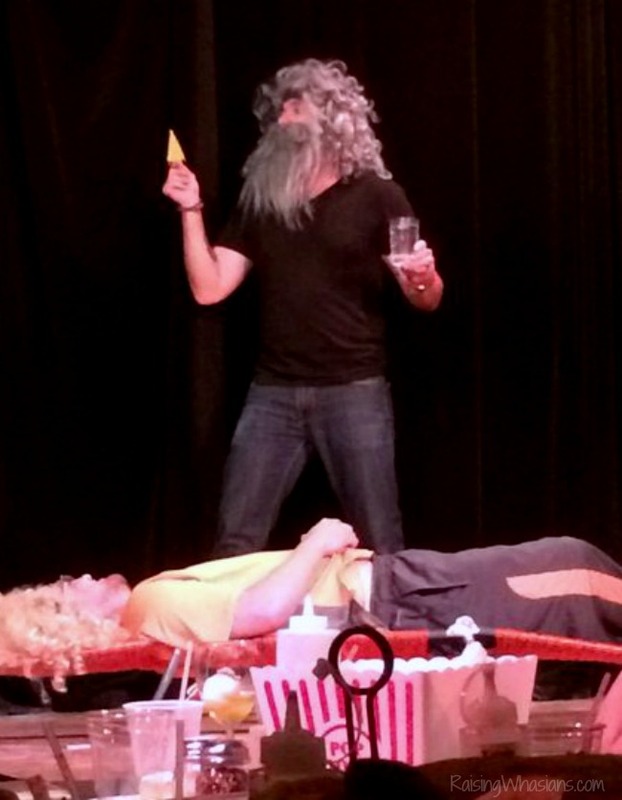 Offering one of the best dinner show prices in Orlando, the WonderWorks Outta Control Magic Comedy Dinner Show is a great dining experience for your family that will make for magic memories. 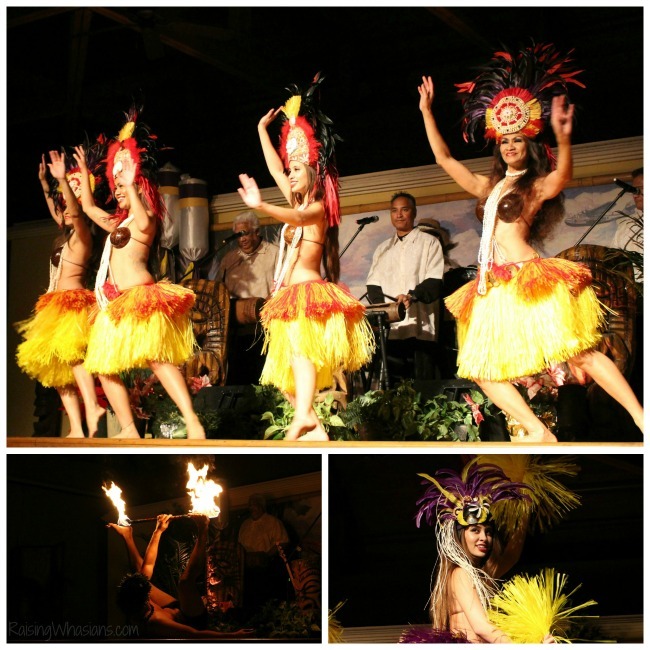 You don’t have to travel halfway around the world to enjoy an authentic luau. 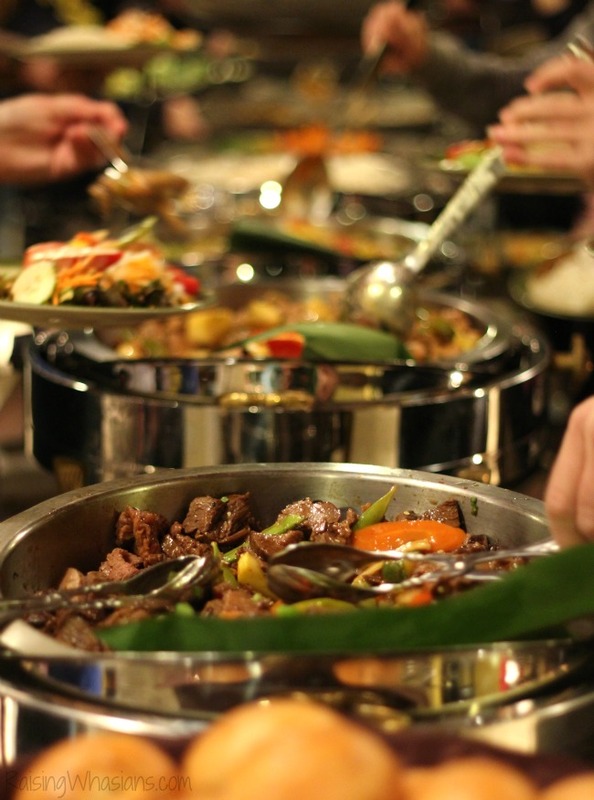 The Wantilan Luau tucked away at the Royal Pacific Hotel offers your family the flavors of the islands, right here in Orlando. Live music, authentic dance moves, and an eye-popping fire presentation await you and your family as your sway along to the sounds of the tropics. Check out this video to see how amazing the fire dancers were. Arms moving so fast, it was hard to keep up. The Wantilan Luau Dancers threw, touched and even ate fire throughout the show. The all-you-can-eat luau buffet is infused with island flavors from poi to pig (and even mai tais, too). And don’t worry if you have a picky eater in the crew. 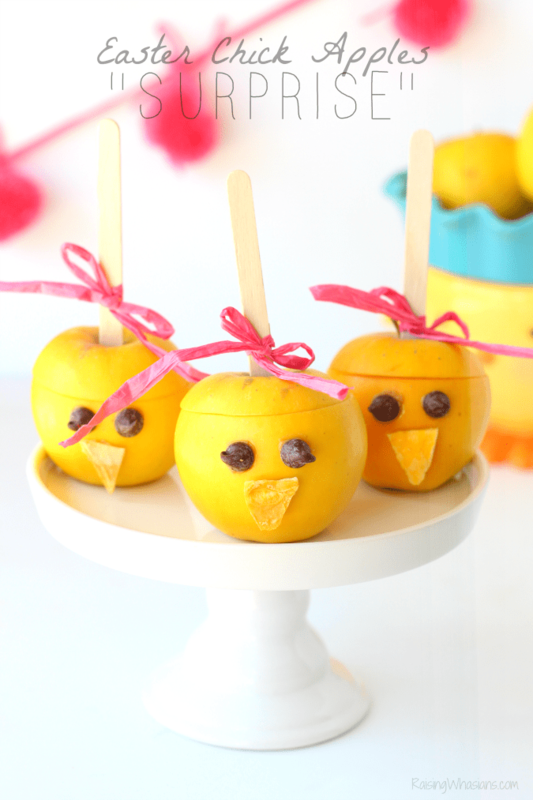 The kid-friendly buffet offers your child’s favorite pizza, chicken, mac n’ cheese and more. Then join your table for a luau filled with beautiful costumes, melodies and native dances that are filled with rich history, culture and FUN. Orlando is the city for dining, family style. With amazing entertainment, food and family-fun, these Orlando family dinner shows will delight your family with one-of-a-kind memories. For more Orlando attraction ideas, reviews and more, be sure to plan your family’s next Orlando vacation at VISITFLORIDA.com. And if you’re looking for more great Orlando family-friendly adventures, check out 25 Orlando Attractions for Kids That Are NOT a Theme Park. Which Orlando Dinner Show is your family favorite? This is a sponsored conversation written by me on behalf of VISIT FLORIDA. The opinions and text are all mine.